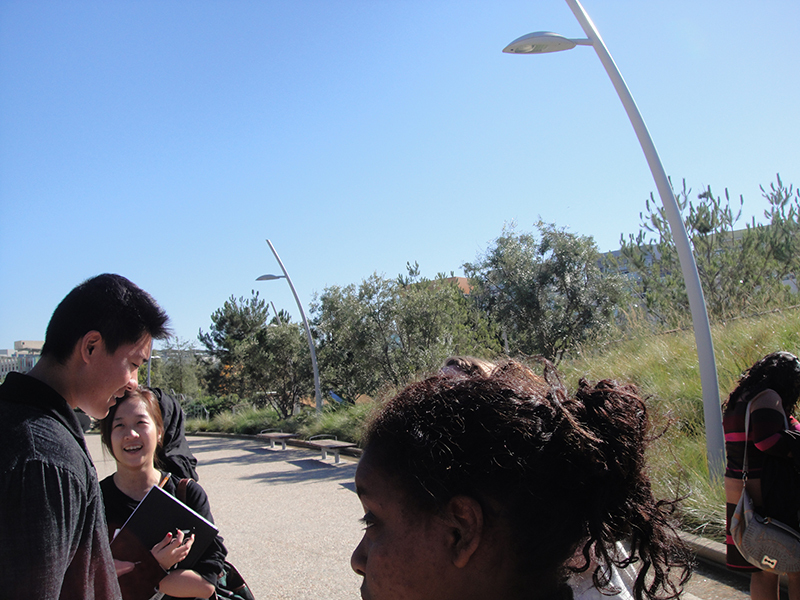 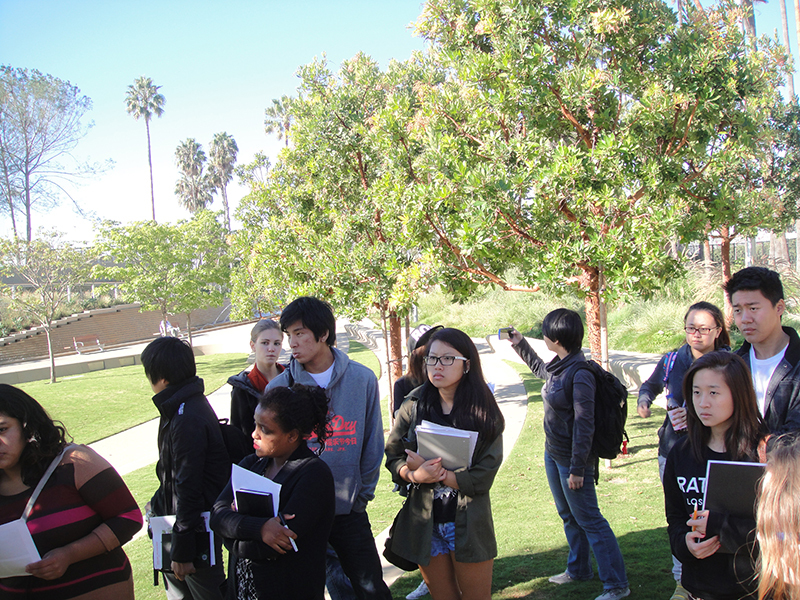 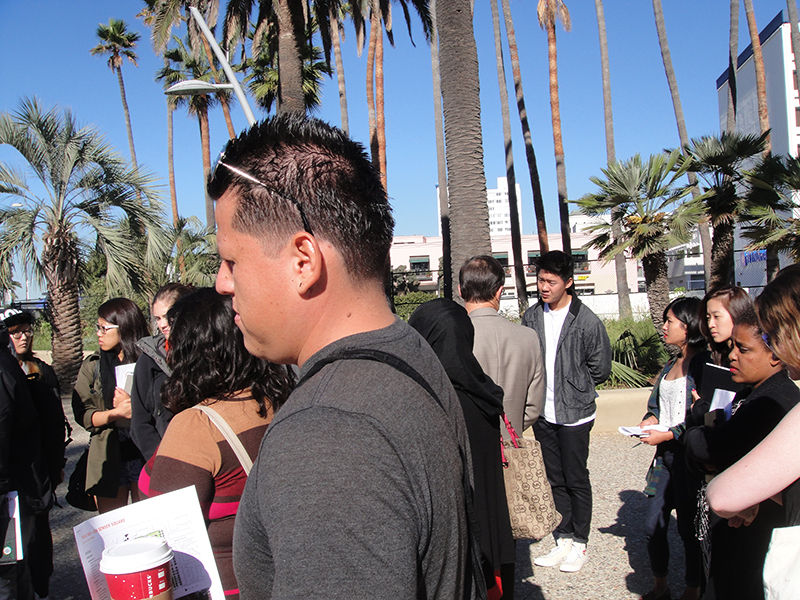 Landscape Technology class toured Tongva Park and participated in PARK(ing) Day 2013! 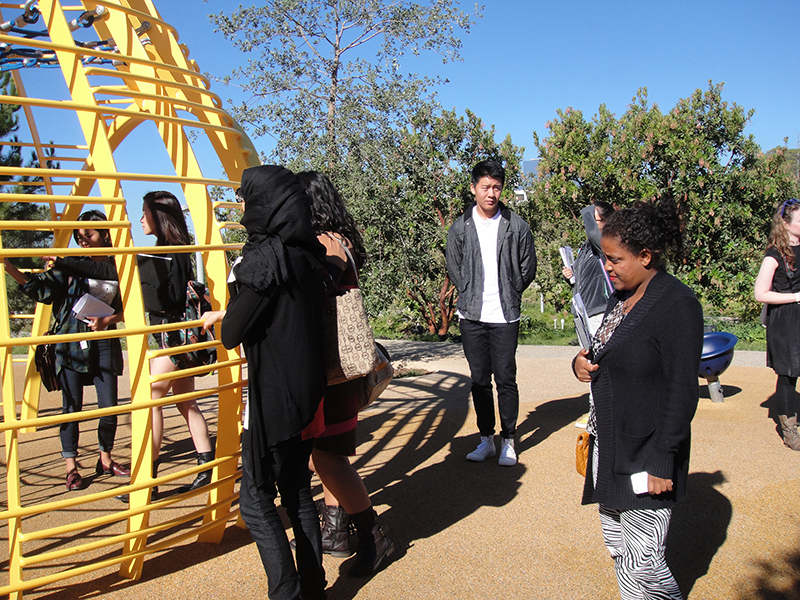 Home Posts News Landscape Technology class toured Tongva Park and participated in PARK(ing) Day 2013! 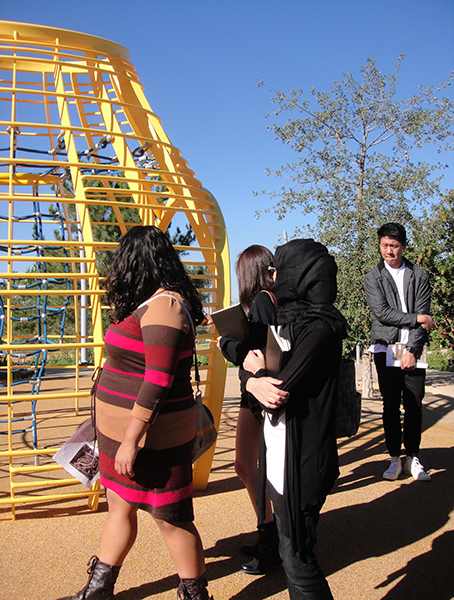 On November 1st, A/L/I Landscape Technology students (Ghadeer Alburaiki, Rubi Cardoso, Nayungkhumia Chang, Levina Djajadi, Vanille Fricker, Stephanie Hernandez, Tommy Hu, Harim Kim, Jenny Kim, Yelin Lee, Darien Noguchi, Mi Na Park, Zhixin Rong, Teobista Seifu, Tamara Suprobo Putri, Michelle Tiet, Raymond Tran and Yanhan Zeng), their Instructor, Tracee Johnson, and Teaching Associate, Gary Garcia, toured the recently completed (in September 2013) Santa Monica Civic Center Parks, Tongva Park and Ken Genser Square. 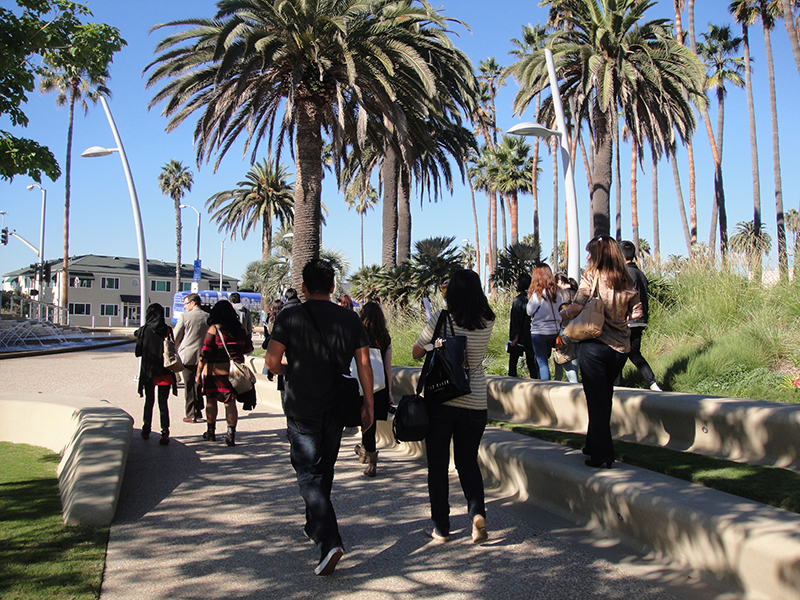 The Civic Center Parks were designed by James Corner Field Operations and are located across from and in front of Santa Monica’s City Hall. 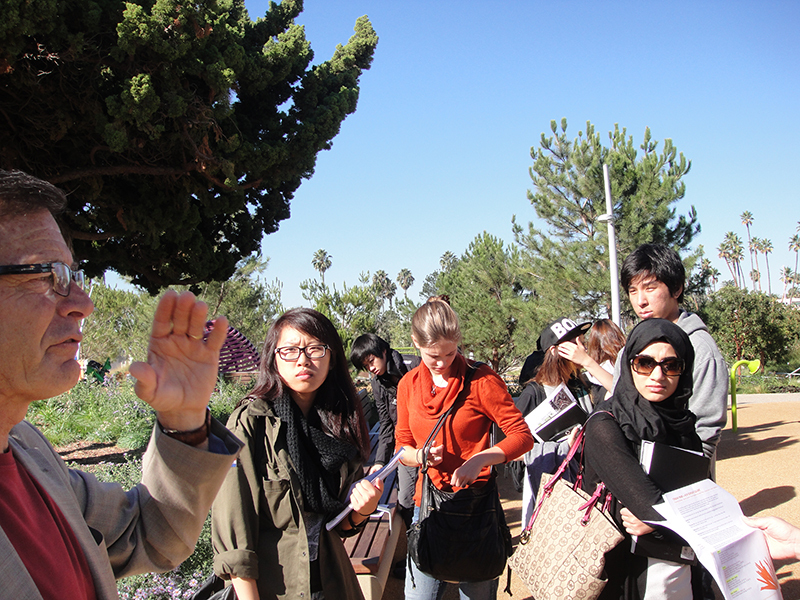 Patrick Fuscoe, PE, CEO of Fuscoe Engineering, led the tour and presented information about the engineering aspects (surveying, grading, drainage, etc.) 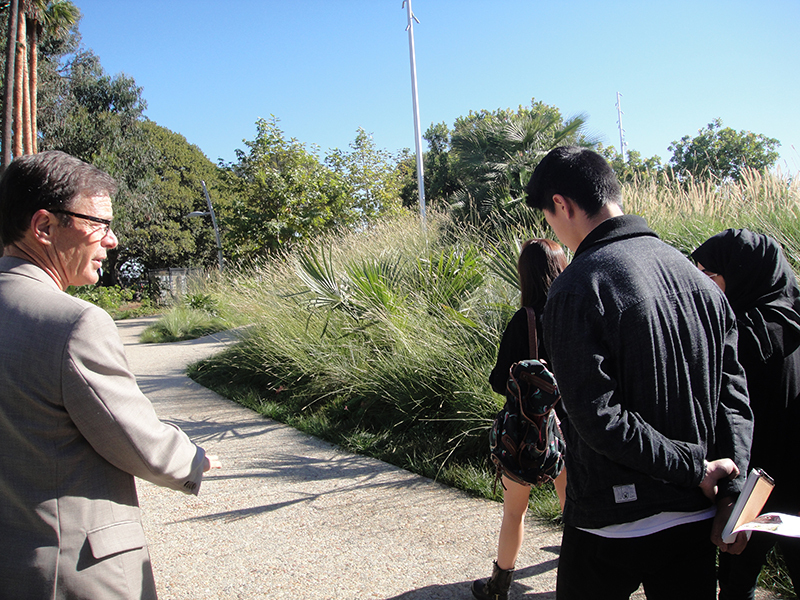 of the Civic Center Parks and their design and construction process. 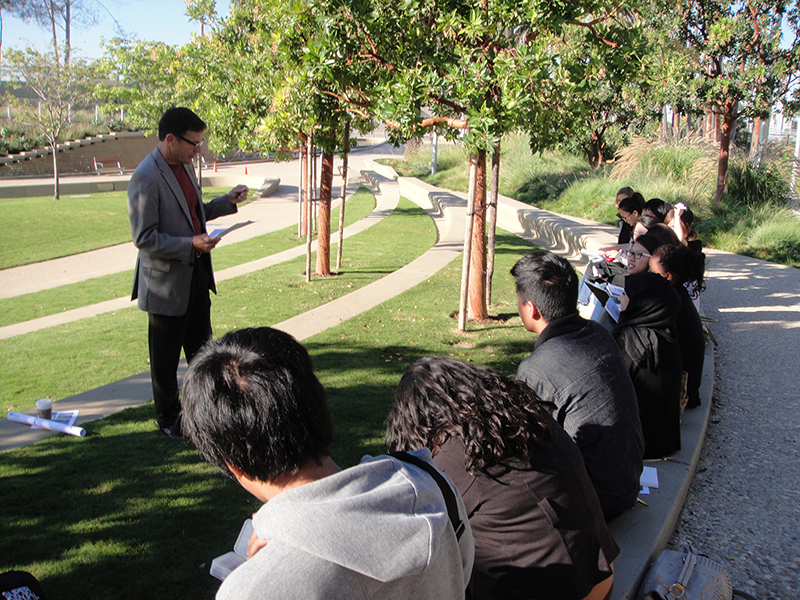 Fuscoe Engineering provided civil engineering for Tongva Park and Ken Genser Square. 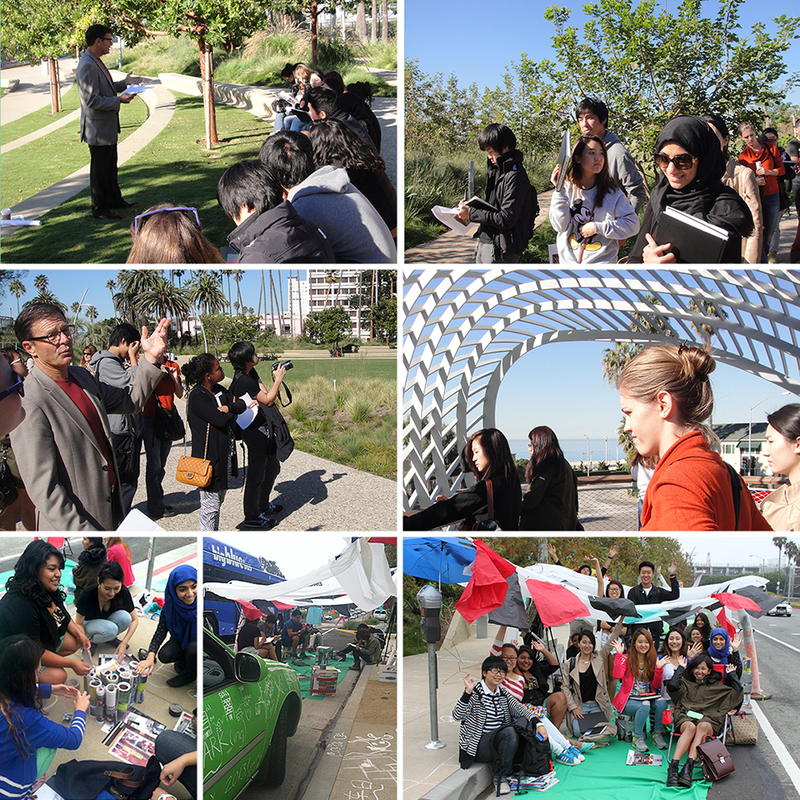 On September 20th, A/L/I Landscape Technology students participated in PARK(ing) Day 2013 in Santa Monica. They transformed a metered parking spot into a pop-up public park using bundled magazines to create seats, and umbrellas and tracing paper as canopies.